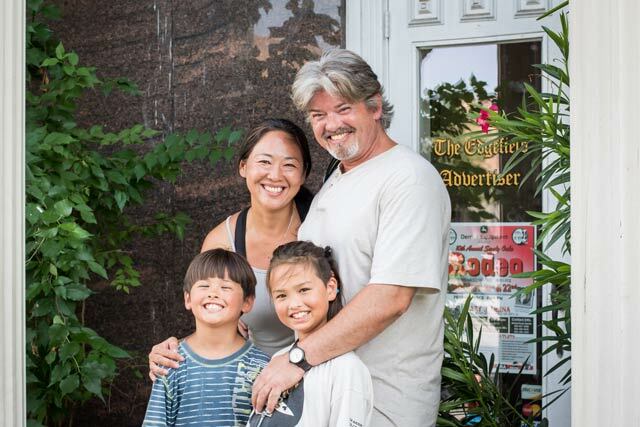 Left to Right: Orion, Eriko, Kai, and Rob Hirai on their recent visit to Edgefield, S.C.
July 28, 2015 – Recent visitors to Edgefield were the Hirai family from Kanaya, Shizuoka, Japan. The story of their coming to Edgefield is worth telling! 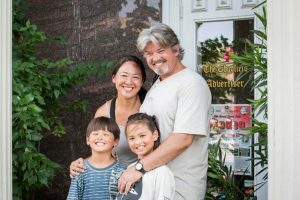 Rob Hirai and his wife Eriko arrived in Edgefield with their two sons last week following a time in Florida. Rob was there for training and recertification courses; he is in the Merchant Marines, a Captain, soon to have his own ship. He is “on leave”; he has Merchant Marine duty every four months, for four months. That is, he is out to sea during four months at a time. This was an exciting family time for them as they made their way from Florida to Edgefield, at the invitation of Bob Norris. Bob is the Advertiser photographer, and he posts many of his photos on the photo sharing site Flickr. Rob is a photographer who does the same. They have enjoyed each other’s postings for some time, evidently seeing in each other’s photographs interests of their own. Bob sent him a message suggesting that if he is ever “in the neighborhood,” that is, docking at Charleston or some nearby port, that he come to Edgefield. 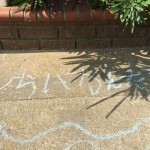 Since Japan, their home, is thousands of miles away, being in Florida this summer was quite nearby and they came. It was to the delight of neighbors of and also the Advertiser Staff that Bob shared his guests. After enjoying ice cream at Edgefield General Store and a tour and tasting at Carolina Moon Distillery, Bob brought the Hirais to the Advertiser. 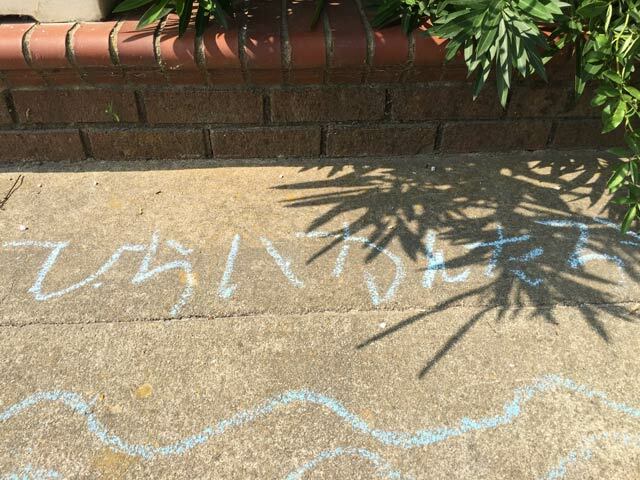 While at the Advertiser Office, the sons Kai (age 9) and Orion (age 8) enjoyed writing Japanese characters (Kanji) on the sidewalk out front with the Advertiser granddaughter, Lydia Wherry (age 6). 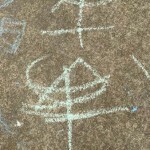 That culminated in continued play at the Norrises on Buncombe St. Rob said that the boys have homework all summer long, while school is out, and they took to the chance to play with energy. Bob and Rob went to Broad Street, Augusta, on Saturday morning doing photo shoots. After lunch at The Pool Room, and a tour of the National Wild Turkey Federation museum, they enjoyed swimming and a Lowcountry Shrimp Boil with the Worths of Buncombe St. in the afternoon. 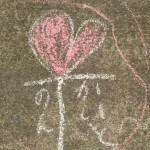 The remnants of the chalk “stories” were still on the sidewalk on Monday, soon to be erased, hopefully by rain, but more likely by the trampling of passersby on the south sidewalk on Edgefield square.